Honored as one of the top staffing and recruiting companies in North America & Canada, with average client satisfaction scores more than three times higher than the industry average.  SALT LAKE CITY, UT- SEARCH Group Partners, a premier boutique recruiting firm, announced today they have won Inavero’s Best of Staffing® Client Award for providing superior service to their clients. This is the second consecutive year that SEARCH Group Partners has received the award. Presented in partnership with CareerBuilder, Inavero’s Best of Staffing Client winners have proven to be industry leaders in service quality based completely on the ratings given to them by their clients. With satisfaction scores more than three times higher than the industry average, award winners make up less than two percent of all staffing agencies in the U.S. and Canada who earned the Best of Staffing Award for service excellence. “To be named to the Best of Staffing list again is a true honor for our entire team and a confirmation to our continued commitment to exceed the expectations of our clients and to be the preeminent recruiting firm in each market we serve”, said SEARCH Group Partner’s Chief Executive Officer, Ema Ostarcevic. SEARCH Group Partners (SGP) is a premier boutique recruiting firm, conducting searches on a nationwide basis. SGP provides professional talent acquisition and consulting services. The services SGP offers include temporary, temporary-to-hire, permanent placement, consulting, executive search, on-site solutions, outsourcing, and talent development. SGP’s customized searches and individual attention is dedicated to the following niches: Accounting & Finance, Office & Administrative, Technology, Health Care & Life Sciences, Supply Chain, Real Estate, Marketing & Creative and Executive & Senior Management. Search Group Partners and staff are also the proud winners of the following awards: Inavero’s Best of Staffing 2014 Client Satisfaction Award ; 2014 Bronze Stevie® Award in the Young Female Entrepreneur of the Year category for Women in Business; Utah Business Magazine Forty under 40 Award winners; Utah Business Magazine 2013’s 30 Women to Watch. About Inavero Inavero administers more staffing agency client and talent satisfaction surveys than any other firm in the world. Inavero’s team reports on over 1.2 million satisfaction surveys from staffing agency clients and talent each year and the company serves as the American Staffing Association’s exclusive service quality partner. Connect with us to get the latest industry news, hot job openings, and more! © SEARCH Group Partners. All Rights Reserved. At SEARCH Group Partners, we celebrate and support diversity and are proud to be an Equal Opportunity & Affirmative Action employer. In order to comply with federal regulations, we maintain records of the race and gender of applicants. For this reason and this reason only, we ask that you indicate your gender, race and ethnicity. If you do choose to answer these questions, this information will not affect your being considered for employment opportunities for which you are qualified.